Once upon a time, Branson’s tourism was finished at the end of October after the fall festivals. Nowadays, the holiday seasons of November through December are some of the busiest times of the year and the whole town gets involved. There are even some Christmas shows that start before Halloween! Grab your plastic pumpkin full of candy and munch with your vampire teeth while humming along to Old Holy Night. November officially starts the Christmas season and goes through New Year’s Eve. 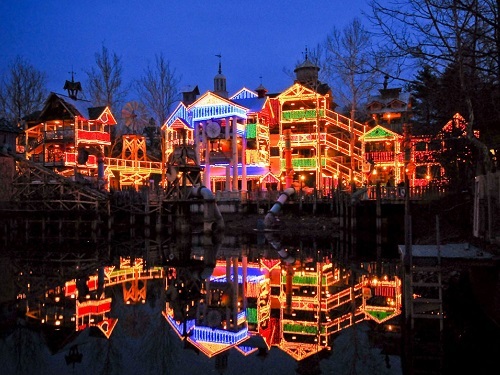 There is no place quite like Branson during the Holiday Season! 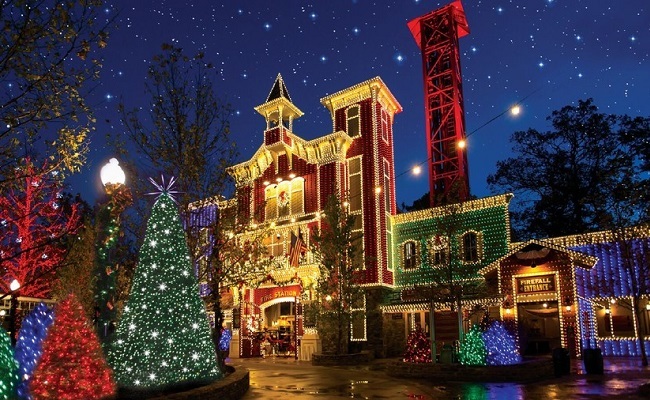 Nationally, Branson has often been listed as one of the best places to be during the holidays and just this month Silver Dollar City has been named by USA Today THE BEST THEME PARK HOLIDAY EVENT. 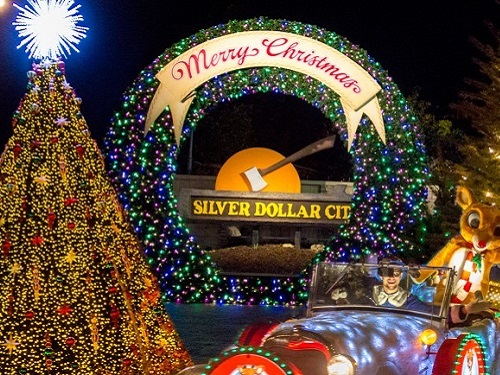 Following four weeks of voting by USA Today readers and theme park fans, Silver Dollar City won the honor over other finalists including events at Disney, SeaWorld, Dollywood, Six Flags, Busch Gardens/Tampa and Williamsburg. An Old Time Christmas at Silver Dollar City is loaded with the way Christmas was and always should be. The park is indeed a wonderland with two original musicals, live nativity, a light parade, and a five-story special effect Christmas tree and more lights than thought possible. The lights will surely make your neck sore from looking up and all around yet keep you mesmerized with inspiration. It looks as if a few hundred kids with mouths filled with glitter sneezed from the rooftops. Over 6.5 million lights bejewel the park and keep the generators on Table Rock Dam working overtime to give the electric company their own Christmas gift. If strolling through a theme park isn’t your thing, nearly every show in the area is Christmas themed. 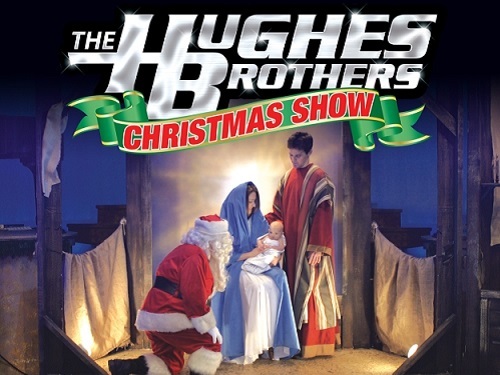 The Hughes Brothers Christmas Show is the most award-winning in town and guests pack the house as the family packs the stage with over 40 performers. They even have a real baby for the baby Jesus. Book it through Branson Ticket Deals as soon as you can because the seats go fast! 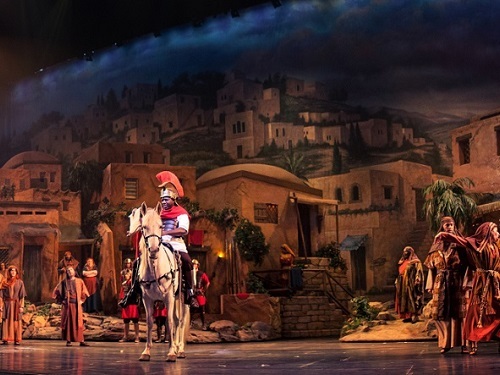 Another Christmas production that is filling the seats is the Miracle of Christmas at the Sight & Sound Theatre. You already know the real Christmas story, but it has never been told in such a massive production with such flare and music. This $90 million theatre has a reputation for amazing shows and this one more than delivers. Don’t wait to book this amazing show with Branson Ticket Deals for the best seats! Some other notable attractions or productions that will be open intermittently during the last weeks of December are Hamner’s Unbelievable, Haygoods, the Johnson Strings, Pierce Arrow, Acrobats of China and many more. There are also several drive-through Christmas displays near town including a VIP chauffeured tour. Feel free to stop by your Spinnaker Resorts in Branson for additional information or give our experts a call at Branson Ticket Deals at (888) 470-5725.